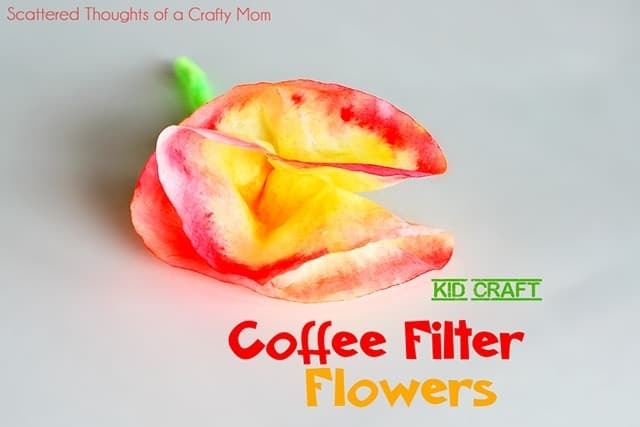 For our Make Something Monday craft this week, my daughter and I made coffee filter flowers (my son is with grandma this week). These were so easy and so much fun, my five-year-old was pretty much able to do this one all on her own. 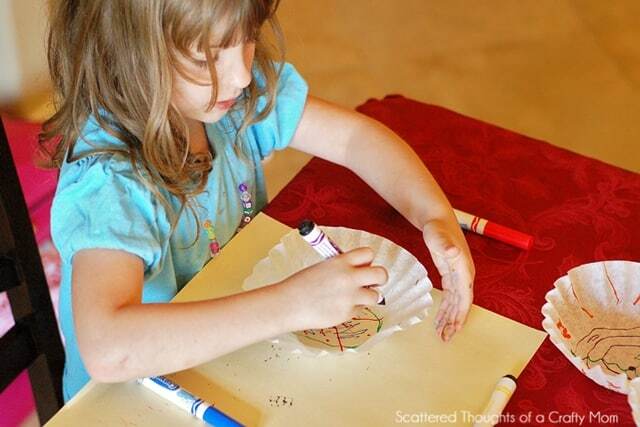 Color the coffee filters with the markers. 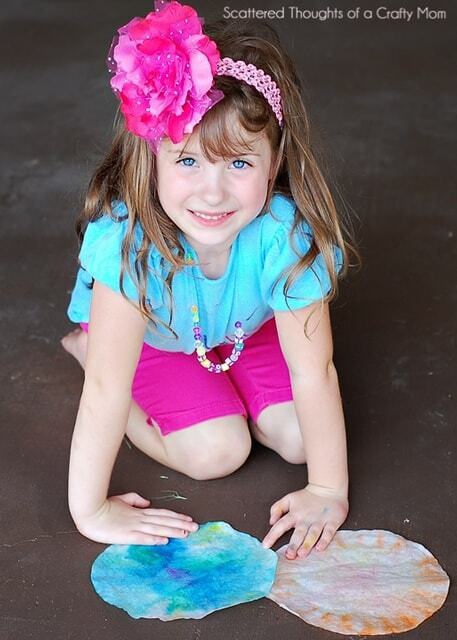 Put on a pretty headband and pose with your dry coffee filters. 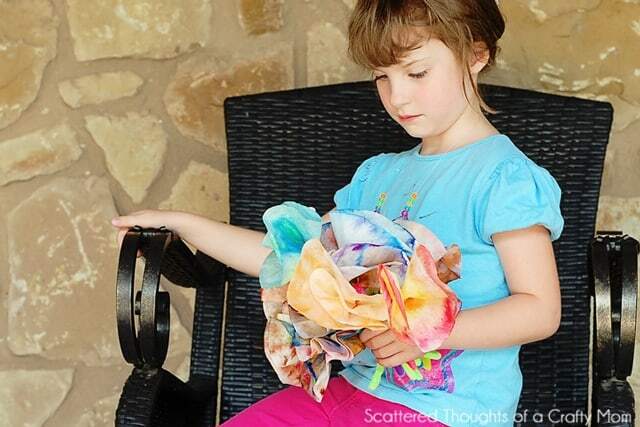 Fold the coffee filters into fourths. You can experiment with different folds for different looks. 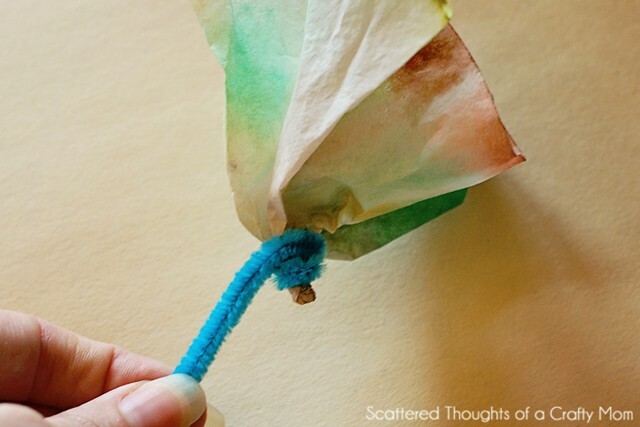 Pinch the bottom of the coffee filter and wrap the end of a pipe cleaner around the pinched area. Tada! You’ve got a flower! 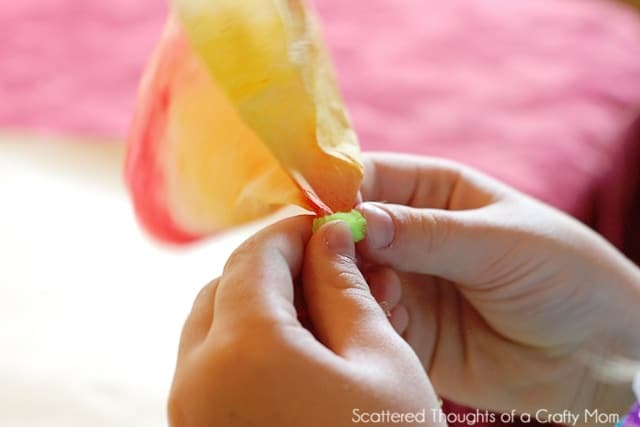 Make a bunch for a pretty bouquet. Oh my those are too cute. thanks for sharing! I will be putting this on my art lesson for homeschool. These are awesome! So creative! I'd love to invite you to share this with my readers on Saturday Show & Tell on Cheerios and Lattes, I know they will love them as well! Have a great weekend! Just pinned this. What a great idea. I will link back when we do it. I know my kids will love it. Cool! I know what I'm going to do tomorrow with the kid! My daughter, who is in pre-school came home with one of these just yesterday! When I saw it, I thought that it was a coffee filter dipped in colored water. She told me that she used markers for it, and I was kind of surprised by it. Now I see how it was done! Such a clever idea! Fun–I love that the kids get to be involved in every part of this. So fun! I am going to pin this so I will have for a rainy day to do with my kids. Oh, this looks like so much fun! 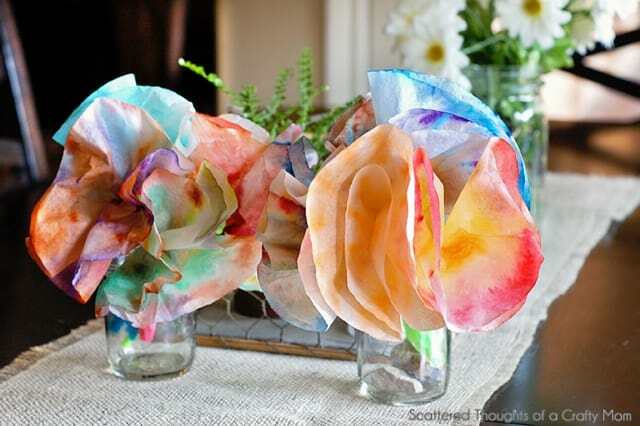 My toddler has been obsessed with flowers lately–I might be able to assist her in making these! 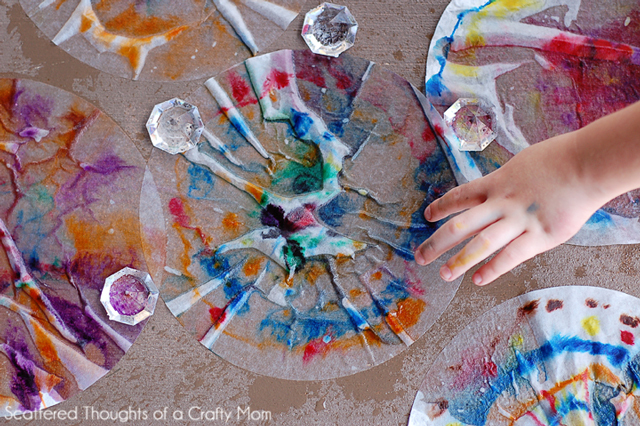 (If you're interested, I'd love you to link this up at my Teaching Time for Toddlers! So fun!! I love them! Thank you for sharing at Sharing Saturday!! What a great idea. I found your post via the It's a Keeper link up. I have linked in a beef dish. The is very fun! I will have to do this with my grandkids! Fun! 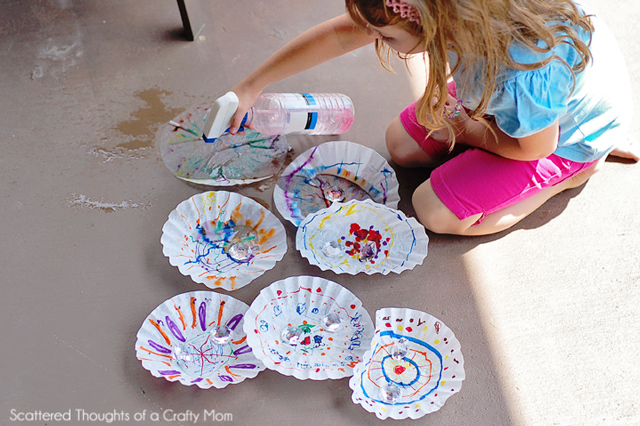 I love the different possibilities coffee filters have. Just yesterday my daughter and I made a butterfly. I think she would love making flowers as well. Just so you know, I featured you on today's Show Off Saturday! Such a CUTE and beautiful ideas!! I could see my girls and I getting lost with fun creating some of those flowers! These flowers are too cute! This is a much easier technique than I've seen in the past….thanks so much! Those are so fun! Thanks for linking up this week!